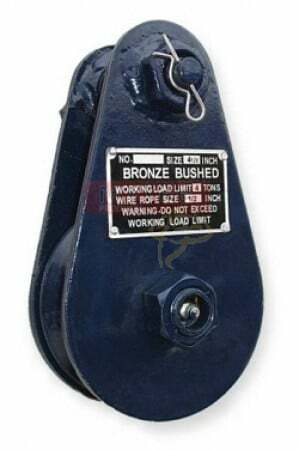 Sheave Size: 3" - 4 1/2"
Wire Rope Size: 3/8" - 1/2"
Tail Board Block is a versitile Rigging Tool Used For Hoisting, Re-Directing Loads, Changing the direction of force and gaining mechanical advantage. It makes it easy to insert the rope or cable into the sheave groove. Size is represented by Diameter of Sheave x Max Thickness of cable that can fit the groove.